Uhuru Kenyatta. Born 26 October 1961. Inaugurated 9 April 2013. It would be easy to assume from the fact that 2013 presidential election was won by Uhuru Kenyatta, the son of the country’s founding father and first president, Jomo Kenyatta, that Kenyan politics operates along dynastic lines and that his victory was predetermined. After all, Uhuru, which means freedom in Swahili, was named in honour of the independence struggle and his supporters like to say that he was born in state house and so born to state house – even though this is not actually true. However, the course of Kenyan history rarely runs this smooth, and Uhuru Kenyatta’s rise to power was anything but straightforward. Indeed, after his first run for the presidency ended in an embarrassing defeat his political career looked like it was over before it had really begun. Initially, the Kenyatta had appeared to be a plausible candidate to extend the tenure of the Kenya African National Union (KANU), the party that had governed Kenya since independence. In addition to the Kenyatta name he was eloquent and well educated, having been trained at St Mary’s School in Nairobi and Amherst College in the United States. Given his considerable personal wealth and businesses interests and the advantages of incumbency that come from being supported by a semi-authoritarian state, he might have been expected to secure an easy victory. However, in 2002 Kenyans were ready for change. The decision of the outgoing president, Daniel arap Moi, to select Kenyatta as his successor – disappointing a number of other heavyweight candidates – led to a split in the government and a number of damaging defections. When those who had left the ruling party coalesced with opposition groups under the leadership of Mwai Kibaki, the defeat of the government became feasible. Still, few commentators predicted that Kenyatta would only secure 30% of the vote. Not only did this represent the country’s first transfer of power via the ballot box since independence, it was the worst performance ever recorded by a ruling party candidate. The defeat was particularly significant for Kenyatta because it undermined his position within his own Kikuyu community. The 2002 campaign was effectively a two horse race between Kenyatta and Mwai Kibaki, a rival Kikuyu leader who had been a mainstay of the one-party state but had defected to lead his own party following the reintroduction of multiparty politics. Kibaki’s victory both nationally and within the Kikuyu heartlands of Central Province confirmed his position as the community’s preeminent political patron. Kenyatta’s prospects of rising to political prominence also appeared to be hampered by a number of other factors. First, the fact that the outgoing president, Daniel arap Moi, handpicked him to be his successor led to accusations that he was little more than a puppet of old authoritarian networks. Second, his personality and reputation led many commentators to question whether or not he really wanted to be president, and many speculated that he would be happier enjoying his wealth and business interests outside of the political spotlight. Indeed, in some circles Kenyatta was thought of as more of a party animal than a political one. Third, it seemed likely that after Kibaki’s tenure the presidency would need to be rotated outside of the Kikuyu community to one of the ethnic groups yet to occupy State House. Had this come to pass, Kenyatta could have had to wait four presidential terms for another run. However, everything was to change over the next five years as Kenyatta was gradually rehabilitated within the Kibaki government. 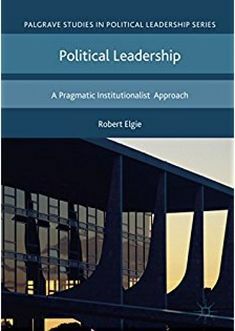 This process owed much to the fragmentation of Kibaki’s coalition, which forced him to form new partnerships in order to maintain control of the political landscape. In the process, Kibaki came to rely increasing on the support of Moi – who even began to campaign for his former rival – and Kenyatta. The decision to join forces made sense for both leaders, because it shored up Kibaki’s support, united the Kikuyu community, and enabled Kenyatta to position himself as the heir to Kibaki’s throne. Thus, on the eve of the genera elections of 2007, Kenyatta was able to address the final rally of Kibaki’s Party of National Unity (PNU) in Uhuru Park and receive one of the most enthusiastic responses of the day. However, even at this stage it was unclear whether Kenyatta was a viable national leader. It was the events of the next four weeks that would open up the pathway to the presidency. Towards the end of the campaign the race was too close to call, but some opinion polls gave the edge to opposition leader Raila Odinga. As the results began to trickle in, Odinga assumed an early lead, with many of his supporters claiming victory before all of the constituencies had been announced. It was at this point that the electoral process began to fall apart. Delays in the process of counting and declaring results led to fears of government rigging, which were exacerbated by Chairman of the Electoral Commission of Kenya (ECK), Samuel Kivuitu, when he admitted that he did not know where some of his returning officers were or what they were doing. When Kivuitu finally announced that Kibaki had won a narrow victory, and the president was sworn in with desperate haste before the concerns of election monitors and opposition parties could be taken into account, it unleashed a wave of violence in which over 1,000 people lost their lives and 600,000 more were displaced. The geographic scope of the ethnic clashes was unprecedented, sparking fears of civil war. Although the conflict was ultimately curtailed by the formation of a power sharing government, its aftermath continued to dominate the political agenda for years to come. Significantly, while allies of Odinga such as William Ruto were accused of organizing attacks on communities assumed to have voted for Kibaki, Kenyatta was accused of directing vigilante groups to protect Kikuyus and carry out revenge attacks. These allegations – which eventually led to Kenyatta being charged with crimes against humanity by the ICC – were expected to be the end of his political career by many Western commentators. Instead, they proved to be just what was required to propel him to the presidency. On the one hand, any doubts that Kenyatta had about the merits of running for the presidency were dispelled by the realisation that only by occupying State House could he fully protect himself from international prosecution. On the other hand, the image of Kenyatta as the protector of vulnerable Kikuyu communities banished any lingering suggestions that he remained a Moi puppet, and earned him a new-found loyalty among one of the country’s largest ethnic groups. In recognition of his growing political prominence, Kenyatta was promoted to the position of Deputy Prime Minister and became an increasingly significant figure as Kibaki began to pull back from public life at the end of his second and final term in office. Even at this stage it seemed unlikely that Kenyatta would become the country’s next president. Many critics within civil society urged Kenyans not to back a leader charged with crimes against humanity, while international donors warned voters that “choices have consequences”. However, Kenyatta and his advisers skilfully turned these challenges into opportunities. They did so through two key strategies. First, Kenyatta formed a new coalition – the Jubilee Alliance – with William Ruto, bringing together the leaders of the two communities that had engaged in the worst violence of 2007-8. Although surprising, this deal proved to be a masterstroke – together Kenyatta and Ruto commanded a considerable portion of the electorate, and, given their authority among their own ethnic groups, could credibly claim that if they were elected they would be able to prevent further Kikuyu/Kalenjin violence. Second, the UhuRuto campaign (as it became known) manipulated international criticism to claim that the prosecution of Kenyan leaders at the ICC represented an attack on the country’s sovereignty. In this way, the election campaign, and the struggle against the Court’s proceedings, could be sold as a second liberation struggle. By creating a “siege mentality” within the Kikuyu and Kalenjin communities, Jubilee was able to ensure high turnout, and a first round election victory that was disputed by the opposition but ultimately confirmed by the Supreme Court. In power, President Kenyatta’s approach has been shaped by his pathway to State House. Most obviously, he began his time in office by pushing back against the International Criminal Court and taking a critical stance towards traditional donors. Indeed, during his first term Kenya played a key role in coordinating African opposition to the Court – accusing it of cherry picking cases Western imperialism – which has gone a long way to undermining its legitimacy. In a similar vein, Kenyatta has gone out of his way to praise foreign partners who preach non-interference, such as China, and to publicly disagree with the United Kingdom and the United States when governments or high commissioners have sought to influence Kenyan affairs. Perhaps a little less obviously, Kenyatta has modelled his leadership on that of his father, who often sought to position himself above the cut and thrust of everyday political arguments and inter-ethnic competition, relying on allies to fight key battles in order to preserve his reputation as a nationalist leader and founding father. Such an approach also fit well with Uhuru’s own management style, which is not to spend a lot of time getting bogged down in committee meetings and instead to delegate to trusted allies. This has led to criticism of the president’s failure to swiftly replace underperforming Cabinet Secretaries, but it has also enabled the president to deflect blame for the government’s failings on to those around him. A third way in which Kenyatta’s path to the presidency has shaped his governance style relates to the coalition with which he won the 2013 general elections. While this alliance was a boon during the campaign, it has threatened to be a liability in office. On the one hand, the warm relationship between Kenyatta and Ruto has not prevented constant sniping and tension between their allies. On the other, the demand of both factions to be compensated for their political support has generated fierce competition over spoils, which in turn has made it more difficult to bring corruption under control. Consequently, the amount of graft and waste within the government is alleged to be increasing – although firm figures are inevitably hard to pin down. In turn, the difficulty of managing the government threatens to undermine some of the main pledges on which President Kenyatta has staked his reputation. During the 2013 election, the Jubilee Alliance advocated a vision of a modern Kenya that would be “digital” and modern. Against this, the opposition were depicted as being “analogue” – old fashioned and out of touch. In line with this, Kenyatta committed himself to major infrastructure projects, including the Lamu Port and Lamu-Southern Sudan-Ethiopia Transport (LAPSSET) Corridor, a standard gauge railway between Nairobi and Mombasa, and the provision of “one-laptop-per-child”. Like many of the policies put forward under the Jubilee Alliance, these projects share two things in common: they represent major infrastructure initiatives that have great transformative potential, and they generate vast rent-seeking opportunities. Time will tell whether President Kenyatta’s desire to deliver on his legacy projects will outweigh the pressure to use these initiatives for patronage and clientelistic purposes. It will be embarrassing for the president if he has to go back to the country and ask for a second term – elections are due in August 2017 – without having delivered on his campaign promises from last time round , but guiding major projects to succesful completion is likely to require a more hands-on style than the president had adopted to date. This entry was posted in Africa, Kenya, Presidential Profile and tagged Kenya, presidential profile, Uhuru Kenyatta on January 12, 2017 by Nic Cheeseman. I have joined your rss feed and look ahead to looking for extra of your fantastic post.